The goal is to map all MacTighernans both genetically and geographically. With 123 tests completed and 5 TBR, the DNA sampling in this test is random currently from 123 MacTighernans or close surname variants from around the world that at the time of testing live in eleven countries on five continents with no correlation except the same surname or close variant and the same close proximity of origin in Cos Leitrim, Sligo, Roscommon and Cavan. 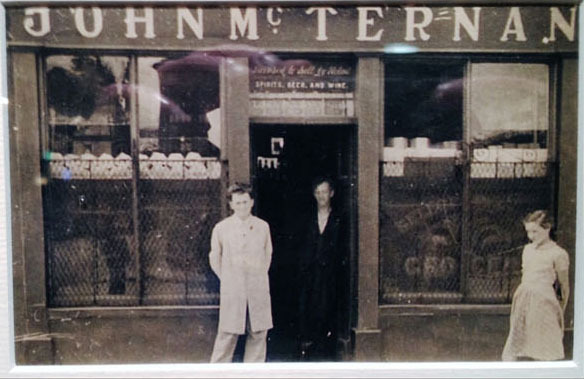 Like most Irish families, the deep time history of the MacTighernans is all but lost. The DNA test is perhaps the only chance to begin to make any family connections as many of the MacTighernan families like a smaller scale of the larger Irish Diaspora have scattered to distant lands in the world and live there today. 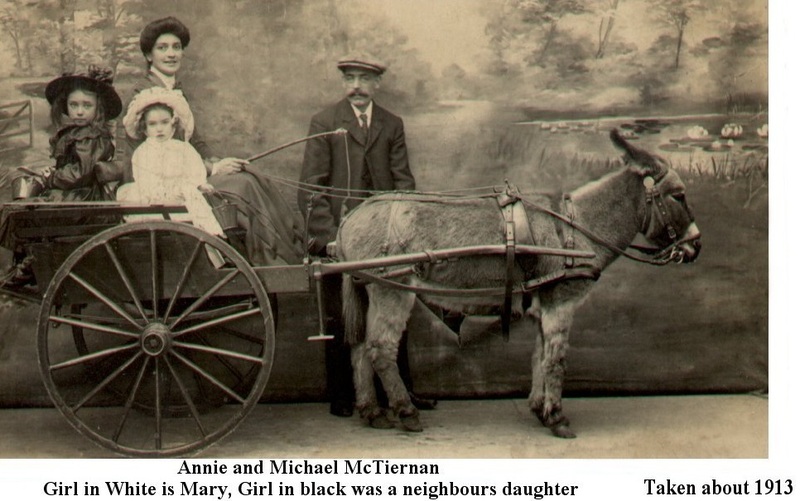 The spelling of the surname does not really matter as the historical spelling never seems to match the current spelling in many of the families so the Gaelic spelling of MacTighernan is used to cover all the variants of our surname including McKiernan. While Leitrim is one county, it is historically divided into North and South Leitrim with Lough Allen being the dividing line. 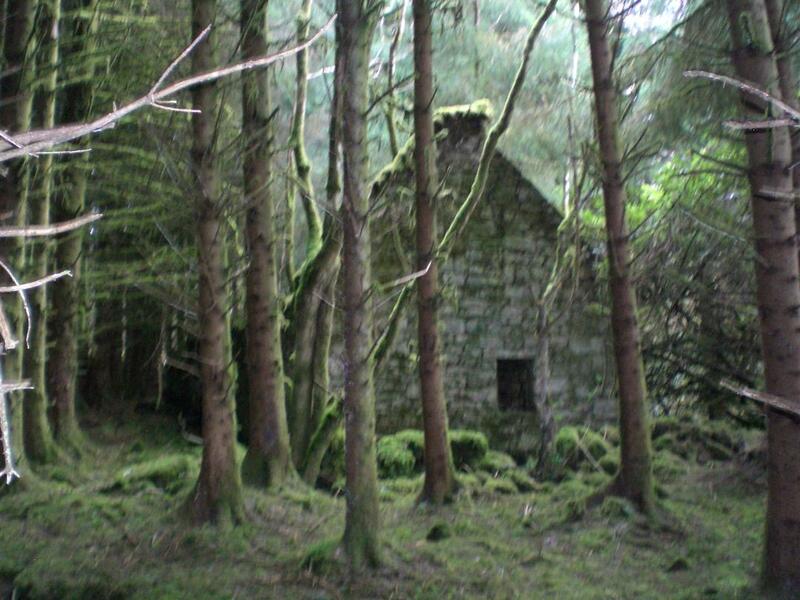 In South Leitrim from the mid 1500s, the Irish Clan way of life was under serious threat. An increasingly powerful English administration was slowly but surely extending its influence and dominion. In a visit to Mohill in 1540, the Saxons destroyed the Monaghan Franciscian Friary and beheaded the Prior and several of the Monks. By 1590, the English government forces were actively routing the local clans. All MacTighernans in the DNA test from Leitrim come from north Leitrim with the exceptions of Michael-MH, Ed (NJ), [Scott (CO), Cathal, Sean-SF], Jim III and Charles whose family origins are in townlands in South Leitrim. Philip O'Rorke, The O'Ruairc of Bréifne whose family were the past kings of Drumahaire in Co Leitrim has taken the DNA test. The O'Rorke DNA web site is http://www.familytreedna.com/public/roark/. The O'Conor Don, Cathal Crovderg O'Conor, whose ancestors were the past high kings of all of Ireland has also taken the DNA test. So far none of us genetically relate to either one. With the tests completed so far we 123 MacTighernans fall into 20 different, separate, distinct and unrelated genetic groups. Genetic diversity equals age. The more diverse genetic make up of a population in a specific area, the older it is. In all the world, Africa has the most diverse genetic makeup. Ethiopia, the Horn of Africa has the most genetic diversity in all of Africa which is where the first humans gathered to exit and populate the rest of the world. Western Europe including Ireland has the least diverse genetic population of all areas on earth. So in Africa the population moved and in western Europe they did not, genetically speaking. The Genographic project sponsored by National Geographic and IBM goes into this in great detail https://www3.nationalgeographic.com/genographic/index.html select "Results." Use my email address and enter FWRFL845CH in all capital letters, click "Continue". Continue without Registering on the right-hand side. There is no way to know for certain what the total number is for distinct genetically separate MacTighernans on a worldwide basis. My research specifys about 476 individual MacTighernans worldwide. I am guessing that many are in the same family. In 1659 only 4275 people lived in all of Co Leitrim of which MacTighernans were 38, 26 in north Leitrim and 12 in south Leitrim. Mary Tiernan offers this web site for the Down Survey for a better understanding http://downsurvey.tcd.ie/. The below is taken from the book the life and times of Sir Frederick Hamilton 1599--1647. The Leitrim town of Manorhamilton is named after Sr Frederick, who was also known for his addictd hobby of hanging a Catholic a day. In or about 1620 several Leitrim locals were given lands in James I plantation effort. A Mulmory MacTernan is listed as a lesser grantee during James I Plantation effort in Leitrim. In 1641, Mulmory MacTernan, of Lisnanorrus townland, chief of the clan, was a resident justice of the peace for Co Leitrim. Some years earlier he was the Co. Leitrim Sheriff. As such he was an important man in the county also owning the neighboring townlands, Drumbrahade, Lisacoghil, Lisnanaw, Tullintowell and possibly Greaghnaglogh. The 1847 Griffith's validation list possible descendents: Thomas McTernan in Lisnanorrus and James mcTernan in Greaghnaglogh. The 1901 and 1911 census list a Thomas, 1871--, and his wife Mary, 1873--, in Lisnanorrus with two children, John Francis, 1897--, and Anne, 1902--. The undertakers were listed as receiving the divided lands of The O'Rourke. Mulmory MacTernan is listed as receiving 500 acres of O'Rourke land which was at the lower end of the scale. The expectation was for the grantee to keep the local natives in check. The grants to lesser sub chiefs [like MacTernan] were to help crush the power of the O'Rourkes once and for all. The king took a higher percentage of the confiscated land in Leitrim as opposed to other counties as the Leitrim natives needed more civilization than the midlands. In February 1642, Sir Frederick Hamilton sent a force of 80 horse and foot to relieve the protestants at Parke Castle. On their return to Sir Frederick's castle they were attacked by 1000 Irish rebels. After a fierce battle the English won and killed 60 of the rebels. 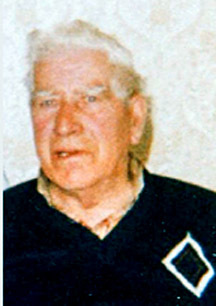 Mulmory MacTernan was one of the 60 killed. Now this is the gospel truth, 375 years after Sir Frederick Hamilton killed Mulmory MacTernan in 1642, when he saw another McTiernan inside the ruins of his castle namely myself, his ghost tried to kill me. In November of 2017, I and my family were visiting Ireland, specifically Manorhamilton. 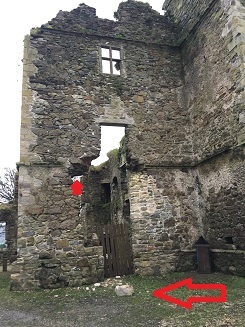 We were touring the ruins of Sir Frederick Hamilton's castle and about 5 seconds after I turned the corner in the photo at left, the ghost of Sir Frederick launched a 200 lb. stone from the high castle keep falling away from the castle walls. Strange after 375 years the rock fell just when a McTiernan was walking by. He killed Mullimury but missed me. 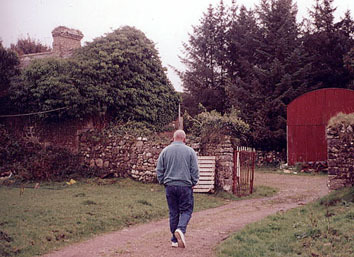 North Leitrim's largest town, Manorhamilton back in the mist of time was called "O'Rourke's little fields". Its recent name was given to one of the most dreaded local rulers, Sir Frederick Hamilton who came to Manorhamilton from Scotland and founded a castle in 1638. He was the grandson of James II, Earl of Arran. It was said that Sir Frederick was used as an example if you were trying to make Cromwell look good. He was to use the gallows in Manorhamilton daily, to hang a Catholic. One of his last and many acts of destruction was the burning of Carr Castle, a stronghold of the O'Rourkes at Glencar in 1641. Lord Hamilton had invited the local chiefs to dine at his castle with the intention of killing them while they ate. As the time approached for the servants to do the deed, the old Irish piper providing the music for the feast played the song, "Make your visits short and far between". Too busy eating and drinking to get the hint, the local chiefs were killed by the servents. Lord Hamilton and his castle fell in 1652 when attacked by the Royalist Clanricard and Owen Roe O'Neill. As per Lorcan O'Runai in his book "From Rosclougher to Rooskey": Lord Hamilton escaped from his castle hiding in a group of women released by Owen. It is said that he shed tears as he paused on horseback to take a last look at his castle in flames. Unlinked and unproven but still most likely our very early history falls under one of these three noted MacTighernans below. MacTighearnain -a Teallach Dunnchadha sept of Breifne; Lord of Tullyhunco, Killeshandra, Co Cavan. MacTighearnain -a Clan Fearghaile sept of Fir Manach in Co Fermanagh. Earlier in the 11th century two MacTighernan families were noted in Irish history as chiefs, Lord McTernan of Tullyhunco, Co Cavan and the McTernans of Co Fermanagh. Their lines may well be extent at this point in time. In recent history, at least since the famine years, most of the MacTighernans in Ireland are found in Co Leitrim. The historical family origins of the majority of the 123 DNA testers are in Co Leitrim. How we might connect to them or to each other is very difficult to prove as written records in Ireland usually start at around the 1850s. The McTernans of Co Fermanagh may have disappeared and there are no known descendants of the other three 19th century historically well known MacTighernan families from Rockfield and Tullyhunco listed below. 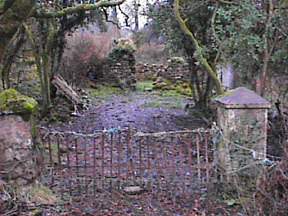 The seat of the Tullyhunco MacTighernan family for many hundreds of years was Cruacan mic Tigearnain where The O'Rourke was inaugurated Prince of the Bréfny. It is now called Croaghan, lying six furlongs [3/4 mile] northerly of the village of Killeshandra in the barony of Tullyhunco in Co Cavan. The MacTighernan castle ruins are at this web site: http://mctiernan.com/castle.htm In Irish history the Rockfield McTernans were part of the landed gentry which translates to being well off being able to send the kids off overseas to boarding schools. One went to medical school in Paris and ended up a surgeon in HMS Naval service seeing action in the War of 1812 in the Chesapeake Bay in America and also being on the island of St. Helena helping to guardNapoleon when he passed. Inismagrath Kilmore Manorhamilton Ballina ? According to John C. McTernan's recent book titled Sligo Families, vol II, Leet's Directory (1812-1814) listed three McTernan 'seats' or residences, namely that of Con at Rockfield [noted above], James of Leonagh and Hugh [ T group baseline ] at Mount Allen in Co Roscommon whose family was originally from Sweetwood townland in Co Leitrim. A recumbent tombstone in Killargue's old cemetery behind the chapel bearing the family coat-of-arms, is inscribed with the names of Farrel McTernan, 1752--1818 and his wife Mary Dolan, 1752--1798. Farrel is the given name of the earliest known ancestor of Hugh McTiernan (Bos) family line who is in the T2 DNA Group. The Chapel of Creevelea was the traditional burial place of the McTernans of Rockfield, Mount Allen and Heapstown [and Sheskin] where large recumbent flagstones mark their final resting places. In close proximity another memorial links the families of O'Rourke and McTernan and is inscribed as follows: Here lyeth the bodye of Hugh O'Roirk and Catherine McTernan who departed this life May 22, 1721. This is the mysterious gravestone that has the symbols of playing cards: heart, spade, diamond and club along with the etching of a cat which in O'Ruaric history is supposed to have awaken him from a nap in a pasture preventing him from being captured by enemies. The foot of the McTernan Achievement at left states: The McTernan coat of arms hereby illustrated is officially documented in Burke's General Armory. The original description of the Arms [at left] is as follows: Two lions pass., GU. When translated the Blazon also describes the original colors of McTernan Arms as: Ermine; two red lions walking on a field of caltraps. Caltraps were home-made 4 inch wooden spikes bound together like jacks in pick-up-jacks. When running away from the Calvary you threw these over your shoulder and when one horse steped on one the Calvary stopped and you got away. Above the shield and helmet is the crest which is described as: A Red Griffin Standing, Green Wings Raised. This info can be complex so please read the headers and footers in all the following grids to better understand it. The 20 separate, distinct and different MacTighernan DNA groups start with the letter T which is just a naming convention as each of the DNA Groups are in all ways equal, none being more pure than the other. The goal is to map the genetic and geographic profile of all MacTighernans, our origins and connections. The ancestors of the two McTernan families from Leonagh in Co Leitrim, Rory's from Sweetwood in Co Leitrim & Mountallen, Co Roscommon and mine from Sheskin, Co Leitrim all of whom are in the T Group are buried in the Abbey of Creevelea, Co Leitrim. Rory's earliest known ancestral home is in Sweetwood, Co Leitrim and then in Mountallen Townland in Co Roscommon which has the date 1671 etched in the fire place mantle which implies the year of construction of their family home. From Mount Allen the family moved to Heapstown, Co Sligo. 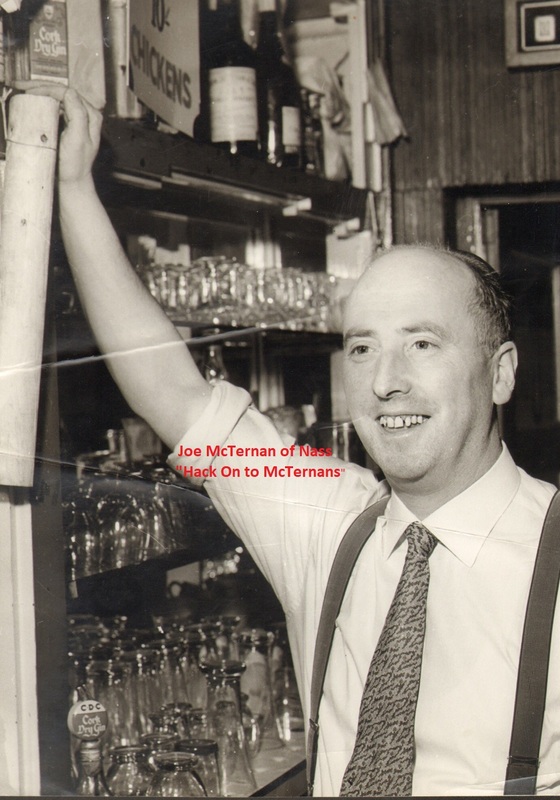 John C. McTernan [T3a], the well known Co Sligo arthur and retired Chief Librarian of Co Sligo in his book Sligo Families II writes that the Mount Allen / Heapstown McTernan family originally came from Sweetwood, Co Leitrim and relate to the Leonagh, Sheskin and Rockfield McTernan families. Three of these four families are buried at the Abbey of Creevelea with the Rockfield McTernans whose male line has become extent buried in their family vault at Brockley Cemetery, Parish of Lewisham, Kent, England. Our name may have been part of the inward migration of colonists and displaced people in the 17th & 18th centuries. The native Irish names of North Leitrim previous to the 17th century were O'Rourke, MacClancy, MacKinnaue, O'Meehan, McMurrow, and MacGoldrick. The O'Rourkes were the ruling family of the former kingdon of Breifne, MacClancy was the ancient tribal clan from Dartry in the north of the region and the MacKinnaues in the Lough Allen area; the O'Meehams migrated from South Munster before the 11th century. The MacGoldricks were a clan of some consequence in and around that part of the region that adjoins Co Fermanagh. 1. Locate Reverend Stephen's "copybook" He was interested in historical and Gaelic matters for which he was made a member of the Royal Irish Academy in 1884. In addition, Rev. Stephen McTernan, 1811--1906, was a member of the Societe Generale in Paris, France for which he received an annual sum of money. Reverend Stephen's personal papers were uncovered in 1907, by Rev. Charles Comey, curate of Cloonclare, Manorhamilton. The papers were found in St. Claire's Chapel in Manorhamilton. Cloonclare was in the ancient parish of Cloonloger, now included in the Catholic parish of Drumlease, Co. Leitrim. More on his personal papers which are called the "Copybook" Finding this may be a key to unlocking the wider McTernan family history as Rev. Stephen kept this diary from childhood. Rev Stephen is my 1st cousin, 3 generations removed in the T Group. 3. Tie one of the DNA testers to James McTernans, of the Rockfield McTernans a British naval surgeon who was in the squadron which protected St. Helena during the residence there of Napoleon, and was present on the island at the death of that distinguished, but unfortunate monarch in 1821. James was also the surgeon on a British warship in the Chesapeak Bay in the War of 1812 with the colonies. 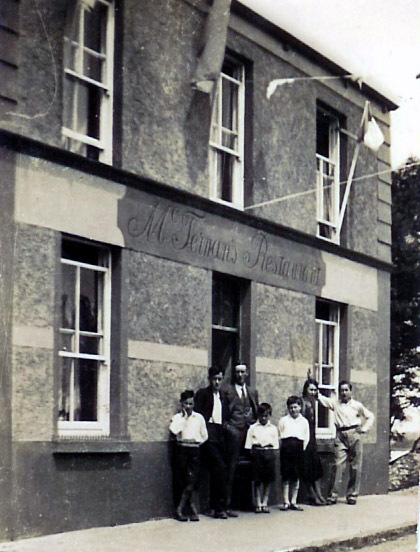 In historical documents the Rockfield McTernans and the Heapstown McTernans [ Rory's line in the T group baseline ] are called kinsmen and are related. 4. Understand the meaning of the 4,000 year old Cairn located on Rory's Heapstown family estate. What might be the connection to Rory's McTernan family who are in the T Group baseline. 5. The McTernan School: located in Waterbury, CT. In 2005, St. Margaret's-McTernan school changed its name to Chase Collegiate School. The new name honors the Chase family, which helped to found both St. Margaret's and the McTernan School. Charles McTernan from Foxbourgh, MA founded the school. Male line may descend from Charles' uncle, Patrick, 1863--, who was born in Boston. Charles' son Donald married and lived in France having two daughters. 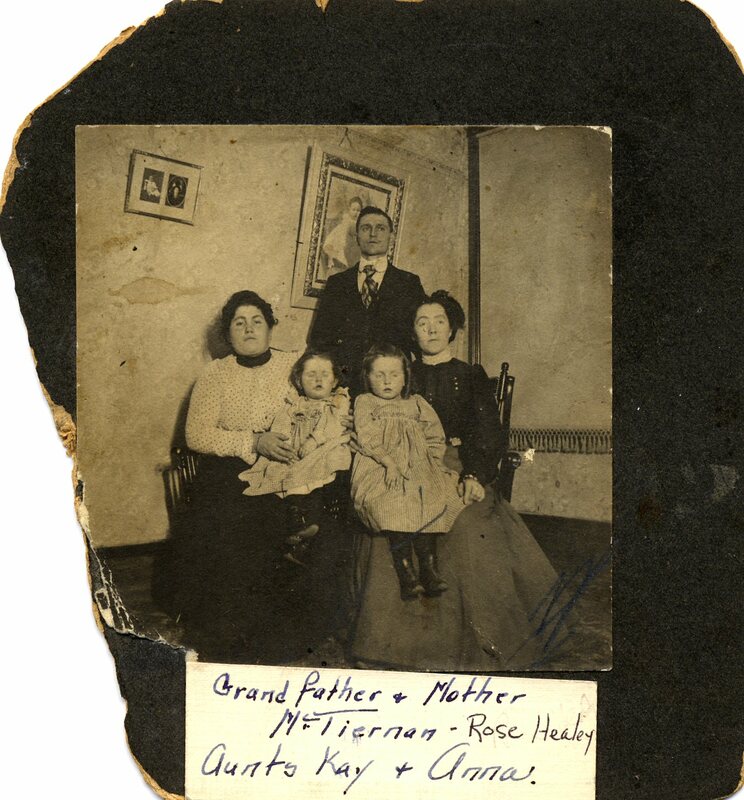 This family originally immigrated to the Boston area from Co Leitrim. Long shot for DNA match. 6. 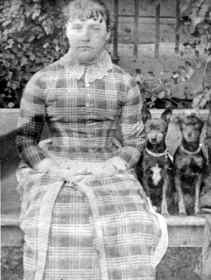 Jane Aloyaia McTernan, 1888--, born in Calcutta station, Bengal, India. To which DNA group does she belong. 7. Thomas McTiernan, 1883--1893, died at 10 years old at the army station of Mount Abu which is a popular hill station in the Aravalli Range in Sirohi district of Rajasthan state in western India near the border with Gujarat. There is no mention of his parents in records. 8. Bernardette McTiernan, 1890--1893, most likely the sister of Thomas above. Died at the army station of Mount Abu which is a popular hill station in the Aravalli Range in Sirohi district of Rajasthan state in western India near the border with Gujarat. There is no mention of her parents in records. 9. Whereabouts of the McTernan Stone, an excessively heavy round stone thrown a long ways by Thomas McTernan known as Long Tom from Ardvoley, the grandfather of John-Rev in the T Group baseline. The stone thereafter was known as the McTernan Stone. The Stone lies now in the area of Killavoggy. 10. Tirmactiernan, Co. Leitrim on the banks of the Shannon/Erne canal system in South Leitrim. About 7.1 KM from Carrick on Shannon. Why was it named Tirmactiernan and what if any connection to any in the DNA test. 11. What might be our connection to Rathmactiernane, a townland in Killoran parish, Co Sligo listed in the Hearth roll of 1665 with Cahill McTanist? 12. A horse by the name of MacTiernan was racing in Dublin for the 2010 to 2012 season. He is running well, previously owned by Christine Kiernan. Why did she name the horse MacTiernan ? 13. Cathal Mac Tigernan was King of West Connacht... died 1059... which means he predates the O'Rourkes. Áed in Gai Bernaig, King of Connacht from 1056 to 1067, had invaded and conquered Maigh Seóla in 1051, blinding its king. Cathal mac Tigernán is the next ruler of the kingdom recorded upon his death in 1049. 14. Origin of the 3 ring forts in the townland of Listernan, Co Cavan and why the name Listernan which in Gaelic means Ternan's fort ? 15. So far none of the MacTighernans genetically match either The O'Ruairc or The O'Conor Don Chieftains but the T Group baseline is a perfect match to Michael O'Rourke. 17. Edward McTiernan from Worcester, MA had a top 10 finish in the 1909 Boston Marathon (#9) See 1909 & 1911 results at http://www.coolrunning.com/boston/results1.htm To what DNA group might he belong ? 18. The McTiernan Seat since 1991 is an engraved bench in front of The 300 year old Powerscourt Arms Hotel in Co Wicklow http://mctiernan.com/McTseat.htm The hotel was owned by Charlie McTernan, 1955-, until 2008 who is in the T2 DNA Group. 19. The pamphlet written in 1845 by James MacTernan, <1815--1855, of the Mount Allen McTernans that settled at Heapstown, in Co. Sligo entitled: "An Address to my Fellow Countrymen", in which James claimed descent from Tiernan O'Rourke, Prince of Breffni. Found by John C. McTernan. 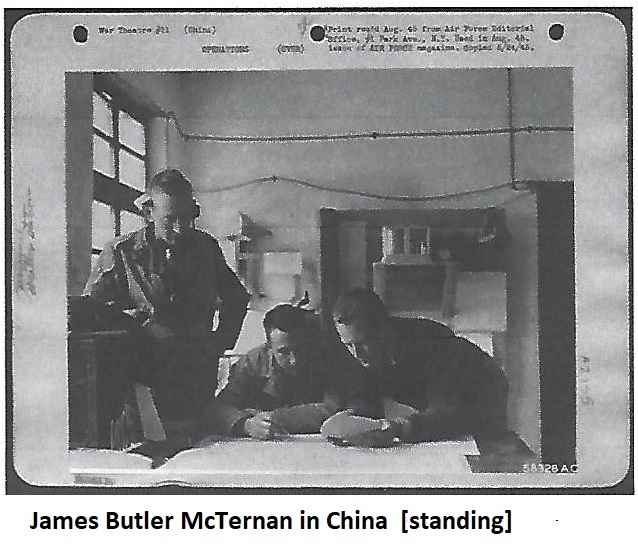 This James McTernan also invented a new breed of horse called the Buckshot Chestnut. This is Rory MacTiernan's family in the T Group baseline. 23. 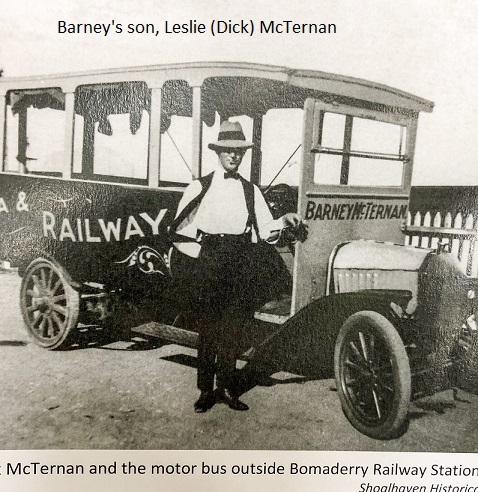 Barney McTernan, being one of the stagecoach founders is now a major character in the book, "Coachmen of the Nowra District" in Australia. Scott (AU), Margaret & Richard in the Ta DNA Group relate to Barney. 24. Gwladys McTernan Park, the mother of Richard in the Ta DNA Group, a park in Naracoorte, South Australia, Australia, named after Gwladys McTernan. 26. McTiernan Way, a road in downtown Minto named on 9-2-2013 by the Village of Minto, New Brunswick, Canada after the long history of the family in fire prevention. This is Michael (CN)'s family in the T DNA Group. 27. 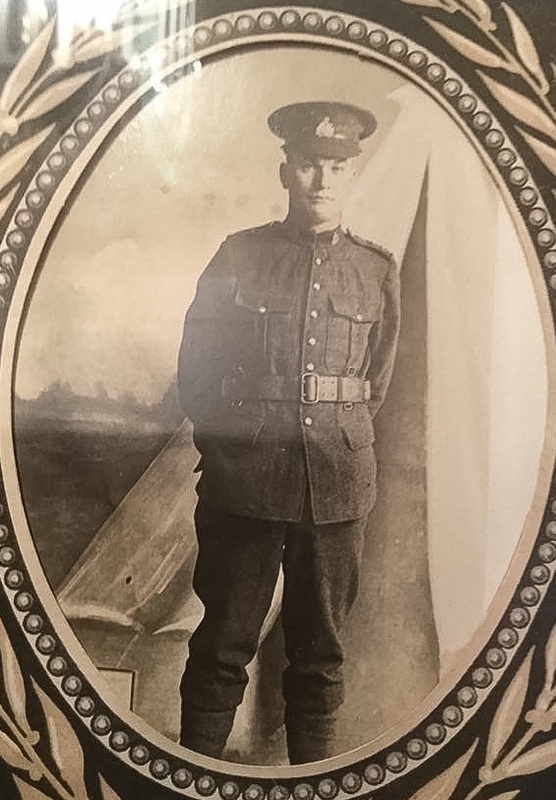 Bartholemew E. McTiernan, 12-11-1877--12-6-1917, born and died in Halifax, Nova Scotia, Canada. Bartholemew, his mother Margaret Gilroy and his wife Frances Caroline Gough were all killed in the famous Halifax explosion which was and still is the largest man made explosion after the atom bomb. Bartholemew is the great grand uncle of Greg McTiernan in the T2 DNA Group. 28. Lac McTiernan, a lake in Quebec, Canada, a 7 hour dirve north of Ottawa and 5 hours north of Montreal. Lac McTiernan was named after William McTiernan born in Bryson, Canada. He worked for the Canadian International Paper Company in the early 1930s. To find out more about the man and his father, David McTiernan, both worked in the back country of Gatineau River, read the following book, particularly chapters 14 and 15, Crawford, Venetia, et Gunda Lambton. The Wildest Rivers -- the Oldest Hills; Tales of the Gatineau and Pontic, Maitland, Ontario. Canadian International Paper Company may have been bought by E. B. Eddy Company. The family had a home in the Mason Lumber camp operated be the E. B. Eddy Company. A second historical opinion on "McTiernan lake" in the Gatineau hills which may not necessarily be named after a man that lived in Bryson by the name of William McTiernan, as Venetia Crawford explains in her book. William was the 2nd cousin, 2 generations removed of Thomas John McTiernan. Tom, was born and raised in Bryson, Quebec, but this "McTiernan lac" was named by him as a joke! Tom worked in cartography for Energy, Mines and Resources for 35 years. In the late 70's he and his buddy Dan Lacelle came across quite a few "un-named" lakes in the Gatineau's. They thought it would be funny to name some lakes after themselves. I would have probably believed Venetia Crawford's story if I would not have found this pamphlet on the internet. Now - what are the chances that this hunting and fishing lodge is situated on the McTiernan and Lacelle lakes? Tom and his buddy Dan (and probably another 5 or 6 guys) used to go fishing together all the time in those days. However, it is a surprise that the names stayed and that these lakes are now known as the McTiernan and Lacelle lakes. The Lac some time ago. This is Maggie's & Thomas' family in the T Group. 29. McTernan Colour of the Year This award is conveyed in honour of Irene McTernan, former Edinburgh University Sports Union Administrator (1980-2011), and awarded to the most outstanding Colour of the Year. Colours are approved by the Blues and Colours Committee and recognise exceptional and sustained service to the organisation, delivery and/or administration of a University Sports Club or EU Sports Union. This award is confined to University of Edinburgh students and was introduced in 2011 to mark the retirement of Mrs McTernan after 31 years of dedicated service to EU Sports Union. Her husband is in the T DNA Group baseline. 31. Anita McTiernan, from Drumahaire has volunteered almost 20 years at the Mutomo Hospital in Kenya helping the hungry and poor. If you can please send a donation via Western Union to Anita McTernan. 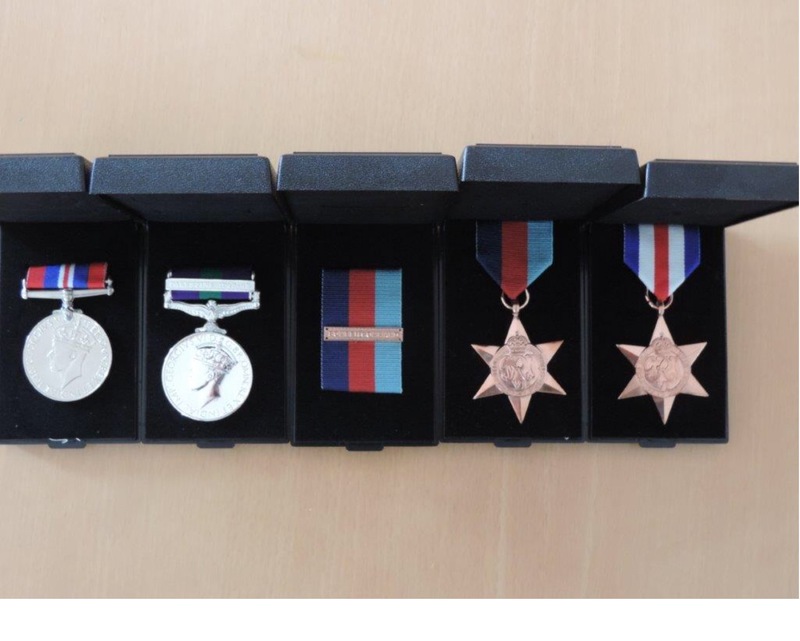 Please let Anita know that you have donated and also send the tracking number to amcternan@hotmail.com Anita assures me that unlike many charities every coin donated is used directly on the kids. 32. Liz McTernan, Paralympian and Iron Man world record holder Liz McTernan is looking for sponsorship support to enable her to continue to achieve success at the highest level. Earlier this month Liz became the handcycle world champion at the Ironman World Championships in Kona, Hawaii. She became only the second female wheelchair athlete to ever finish the Ironman World Championships and she now holds the course record for fastest time. Read more at: https://www.louthleader.co.uk/sport/more-sport/ironman-athlete-liz-appeals-for-a-sponsor-1-8679462. 33. Sarah McTernan, is the daughter of Sined McTernan and the niece of Paul-C McTernan in the T3a DNA group. Sarah McTernan has been picked to represent all of Ireland at the 2019 Eurovision Song Contest in Tel Aviv this May. She came third in series four of The Voice of Ireland in April 2015. 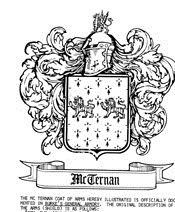 The McTiernans haven't held tenaciously to their family name over centuries sometimes under duress if it did not mean something of real value to them. A legitimacy to their culture and land that stretched back into the distant past to an ancestral line. The Scribe O' Clery in his genealogies refers to two families of Mc Tiernans of North Leitrim, the Clann Tiarnain Bunnaidhe that is the McTiernans of the Bonnet (Drumahaire) and the Clann Tiarnain na Caraha or the McTiernans of Corry (between Drumkerran and Lough Allen) could this explain at least two of the main groups? There is also a possibility that some of those in groups of their own represent the last survivors of the true McTiernan lineage and that the 3 main groups are very successful interlopers? courtesy of Austin McTiernan who is in the baseline of the T3 DNA Group. While each DNA Group is of equal standing, there are 3 main DNA Groups, the T Group with 35, the T2 Group with 25 and the T3 Group with 17. Each group's baseline is where all in that group started. The baselines of the 20 distinct DNA groups form automatically when 2 or more MacTighernans genetically match each other perfectly, 25 / 25 then they become the baseline of that specific group. Matches of 23 or 24 out of 25 markers are in that group just not in the baseline. So there are 2 sets of MacTighernans in each of the 20 DNA Groups, the baselines which are made up of perfect matche of 25 out of 25 markers and the others that match the baseline 23 or 24 out of 25 markers. To date there are 12 distinct DNA Groups that have only one person in each group. Distance 1: 24 / 25 Probability of a close relationship is very high. You share the same surname (or a variant) with another male [and close proximity of origin] you mismatch by only one 'point' on only one marker. For most closely related and same surnamed individuals, the mismatch markers are usually either DYS 439 or DYS 385 A, 385 B,389-1 and 389-2 from our first panel of 12 markers, and on the following from the second panel of 13 markers: DYS #'s 458 459 a 459b 449, 464 a-d, which have shown themselves to move most rapidly. Distance 2: 23 / 25 Probably related. You share the same surname (or a variant) with another male [and close proximity of origin] and you mismatch by two 'points' among the 25 markers tested. The probability of a close relationship is good, however your results show mutations, hence more time between you and other MacTighernans. Distance 3: 22 / 25 Probably not related. You share the same surname (or a variant) but are off by 3 'points' or 3 locations on the 25 markers tested. The following 2 charts show matches that are close but yet still outside of the threshold to match. Y37 test: A 33 or better out of 37 markers says you are in the same DNA group. Above numbers for perfect match of 25 / 25 are in red background - for their specific DNA groups, the red + and green + sign means the grouped individuals are related. Gene who is in the T Group is an exception as his 3 mutations occurred in only one locus and is considered a radical mutation but is still listed as being in the T Group. Mark may relate to Martin from Dublin as both families are from the townland of Leonagh. Peter McTiernan of Canada is related to Michael (CN). Turner Bluechel through his maternal line is related to Rory and his sister Alannah. Above numbers for perfect match of 25 / 25 are in red background - for the specific DNA groups, the red + sign means the grouped individuals are related. The symbol "<" is an event that occurred before that year and a ">" is an event that occurred after that year, e.g. <1800 means born before 1800. Myles & Francis were brothers to Charles Andrew above. Kevin is a brother to Mark above. Myles & Francis were brothers to Charles Andrew above. Kevin is a brother to Mark above. Rory's son RayI is not in the baseline. All townlands above are in Co Leitrim unless noted. Last row is tester's location at the time of the test. DNA kit numbers in above chart are in Italic, other numbers are YOB All townlands above are in Co Leitrim unless noted. Last row is tester's location at the time of the test. the words to the McTiernan song. While still in their own distinct genetic DNA Group, Scott (AU), Richard & Adrian are a 22 / 25 match with the T Group baseline. While still in their own distinct genetic DNA Group, Colin is a 22 / 25 match, John (USA) and John Frank & Myles are a 18 / 25 match with the T Group baseline. DNA kit numbers in above chart are in Italic, other numbers are YOB. Perfect 25 / 25 matches are in red and are the baseline for the T2 DNA group All townlands above are in Co Leitrim unless otherwise noted. Last row is tester's location at the time of the test. Ancestors in the light colored row in the above grid were born c. 1800. * = immigrant. Jerry Mack Rd, Ocean City, MD is named after Jerry McTernan, the grandfather of Jerry McTernan 251863 above. 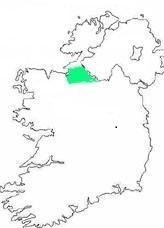 Scardan townland above is no longer listed in Killarga parish. Click on George Stephan above and see 1902 video, he is boy on right. The symbol "<" is an event that occurred before that year and a ">" is an event that occurred after that year, e.g. <1800 means born before 1800. DNA kit numbers in below chart are in Italic, other numbers are YOB. All townlands below are in Co Leitrim unless otherwise noted. Last row is tester's location at the time of the test. Ancestors in the light colored row in the above grid were born c. 1800. * = immigrant + The McTernan Seat since 1991 is an engraved bench on from of The Powerscourt Arms Hotel in Co Wicklow. http://mctiernan.com/McTseat.htm The hotel was owned by Charlie McTernan, 1955- [above chart] until 2008. DNA kit numbers in above chart are in Italic, other numbers are YOB. All townlands above are in Co Leitrim unless otherwise noted. Last row is tester's location at the time of the test. Ancestors in the light colored row in the above grid were born c. 1800. * = immigrant. DNA kit numbers in above chart are in Italic, other numbers are YOB. All townlands above are in Co Leitrim unless otherwise noted. Last row is tester's location at the time of the test. Ancestors in the light colored row in the above grid were born c. 1800. * = immigrant. The red + in the above grid is a 24 / 25 DNA match to each other. *Nigel in the T2a group is Patsy's cousin.. Bartholemew above is the one killed in the famous Halifax explosion. DNA kit numbers at the bottom are in Italic, other numbers are YOB. Perfect 25 / 25 matches are in red and are the baseline for the T3 DNA Group. All townlands above are in Co Leitrim unless otherwise noted. Last row is tester's location at the time of the test. Ancestors in the light colored row were born c. 1800-. * = immigrant. Michael, c 1840, was another son of Lawrence, c 1810- in the above grid in Scott (CO)'s line and had a son, Lawrence, 1869-1904 who died in Brooklyn, NY. John, 1869-, in Sean-SF line had a total of 12 kids, only 4 showing above. Megan and Shannon are Sean-SF's sisters. DNA kit numbers at the bottom are in Italic, other numbers are YOB. Perfect 25 / 25 matches are in red and are the baseline for their specific DNA Group. The symbol "<" is an event that occurred before that year and a ">" is an event that occurred after that year, e.g. 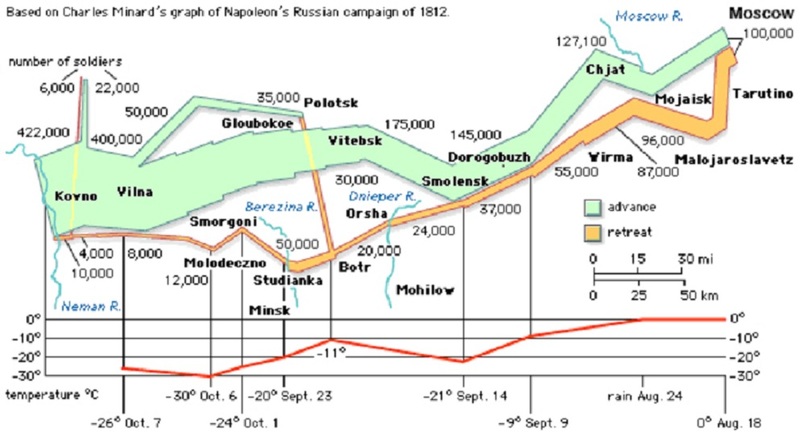 <1800 means born before 1800. Warren in the T4 DNA Group is in the Q Haplogroup. Warren McTernan is the sole McTernan in the T4 DNA group and is a 5 out of 25 marker match with the T Group and a 7 out of 25 with the T3 Group. Clay MacTarnaghan is the sole tester in the T5 DNA Group. A 22 / 25 match or less in the previous grids most likely means no common genetic ancestor or the common ancestor is well beyond 2000 years or 70 generations back in time, as in T Group baseline compared to the T3 Group baseline which is a 16 / 25 match. Surnames came into existence in the year 1120 more or less. In the French line above, Patrick, 1827-, had a brother Charles, 1839-, that came to the USA All townlands above are in Co Leitrim unless otherwise noted. Charles St. Clair McTernan, 1882--, in the above grid was the founder of The McTernan School, Waterbury, CT whose male line may be extent. Gwen Brogdon's McTernan line comes from the townlands of Killavoggy and Sweetwood Lower in Co Leitrim which are two of the townlands that were owned by Rory's McTernan family that originated in Sweetwood, Co Leitrim then Mountallen, Co Roscommon then Heapstown, Co Sligo. Maria Daly above had 8 kids.